Wave GOODBYE to lower back pain FOREVER! Would YOU want a rock solid core with chiseled abs that look like they’ve been carved out of mahogany? Would YOU want abdominal and lower back muscles that look like they’re made of CORRUGATED steel, EVERY HARD, rock solid RIDGE of muscle standing out in stark relief across the skin? Would you want a core that is not only rock solid in appearance but has strength to boot as well – – real strength – – in spades? A midsection that can take – – and GIVE – – as good as, or better than it receives? If the answer is yes – congratulations – you’re on the right page. Look no further, and read on with great attention, as what I’ve got to say here and bring to you might change the entire way you think about “abs”, “core” and abdominal training in general. First off, what do I mean by “core” ? Why is this page titled “Corrugated CORE” instead of “Corrugated Abs”? Well, simple. The abs are but one part of the CORE, my friend. When most people think of training the abs (or the core, to most people), it’s all about training the little bundle of muscles that is “most visible” to us i.e. the “six pack” – – and people these days go to ridiculous limits to get that coveted “six pack” look. And those that get it (believe me, there are a LOT that don’t despite following all the advice they’ve gotten – – does that sound familiar, by the way?? I bet it does!) seem to wear it as some sort of badge of honor, flaunting it everywhere they go, on social media, tight clothing, and what not. All well and good, but I’ve got news for you, my friend. Not only does this “look” not necessarily impart any real strength – – it is NOT by any means “core” training. The core doesn’t just consist of the “six pack”, although that’s part of it. The core consists of EVERYTHING beneath your pectorals until your knees, my friend. And training the core needs to be done as an UNIT – -meaning, you train EVERYTHING. You don’t ignore the thighs. You don’t ignore the obliques. You certainly don’t ignore the lower back and spinal erectors, and the REAL muscles (which really give you the six pack) are not the ones you see advertised so often on late night TV infomercials. More on that later, but let me tell you right now that the modern day methods of training the “abs” (or “pseudo-core” training as I like to call it) is utter hogwash, and “Mama’s boy” training. Modern day training methods usually consist of doing one of the most and utterly worthless exercises that man invented – – that being the “crunch”. Not only is this exercise worthless in terms of building any real strength in the abs (let alone the coveted look) – – it can also be harmful to the lower back if done incorrectly. Then you’ve got all the gizmos on late night T.V. – one that stand out in mind is a “bedroom tummy trimmer” where you apparently place your fanny in a padded seat and rock back and forth “while watching T.V.” while holding on to the edges of what seems to be like a modified “circular” rocking chair. Apparently this nonsense is supposed to give you the “X” taper you want. And the above two are just off the top of my head. There is so much junk floating about out there in terms of ab training that I could write pages on it and still not be “done”. The old timers did none of this rubbish. They knew that abdominal training was NOT just about the look. It was about training the entire core. Ask any serious boxer, wrestler, sprinter, army man, triathlete – you name it – what the most important part of the body is to train (and where they get their power from – and they’ll tell you. It’s the CORE – – NOT THE SIX PACK!! Fooey, I hear you say. So what? I’m just concerned about the look! I’m no boxer or athlete! Well, great. But you’re living life, aren’t you? You’re performing day to day activities like most of us do – – aren’t you? Of course you are, and that makes proper core training as much of a necessity for YOU as it does an elite athlete. Do I need a strong CORE? First off, even if you’re just concerned about the look (which you shouldn’t be) – take a look at the two pictures beneath. Now, I don’t know about you – – but if you were to ask me whose midsection looks rock solid ,healthy and FUNCTIONALLY stronger (as opposed to a bloated dysfunctional mess) – I know who I’d choose. If you were to ask me who was the one that did REAL exercises – – as opposed to “bunny crunches” – – I know which one I’d choose. Second though, you DO need a strong core as opposed to just “a six pack”, my friend. Trust me on this one. Well, the core assists you in doing everything, my friend. Your core, is, quite literally, along with your breath, your POWER. Throw a punch during a streetfight, and if you’ve got a weak core – – the punch will be weak no matter how strong your upper arm muscles are. Try carrying GrandMa up a flight of stairs during an emergency with a ponderous belly (or weak lower back in tow) and you’ll quickly find out that those gigantic thighs you built by doing leg presses in the gym don’t really do “squat” (pun intended) in real world situations. Try lifting your 10 year old son or daughter overhead without a weak core, and you’re risking a pulled back muscle or worse. Try picking up (from the floor) and dumping a 20 kg liter bottle of water “snout first” onto the water dispenser WITHOUT a strong core — and … well, you may manage to get it there, but you’ll never be in control of that unwieldy weight. And EVEN if you weren’t interested in all the above benefits, well — a strong core helps you last longer in bed, my friend. If you’re looking to make your lady (or man) go “oooh la la” for hours on end – – and who isn’t – – well, then – – a strong core and all the underlying muscles that make up the core are pretty much a pre-requisite. What about the look, you ask again? I really want the look! 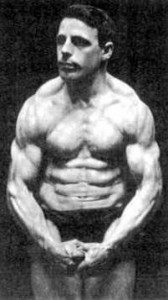 Well – – here’s the kicker, my dear friend – – if you train the core correctly – – not only will you have core strength that is functional and LASTS your entire life, but you’ll also get that much coveted “X” taper (or REAL 12 pack look). You’ll look and feel far better internally and externally than the crunch-crazy “bunnies” or the “roid” pumped gigantic freaks. Not only that, you’ll be a heck of a lot healthier – – not to mention STRONGER throughout the rest of your body as well, because these exercises don’t just work muscles in isolation. They work the body and core as it was supposed to be worked – – as an UNIT. More on that in a minute, but rest assured that the exercises you’ll get in this course are NOT crunches. They are NOT sit-ups either. These exercises are tough, hard and demanding exercises that work, and DELIVER RESULTS – – – REAL WORLD RESULTS as opposed to the worthless modern day “gym junkie look” and I’ve laid them out in categories for you. “Beginner”, “Intermediate” and “Advanced”, so there is something for EVERYONE here, my friend. Wave Goodbye to those annoying digestive issues you keep having. No more “case of the bloat” or “tummy burbles” at the most inopportune times! A case of the “runs” (when you’re otherwise feeling fine) or “flatulence” at the office – – at the most inopportune times? Do you ever find yourself “scouting out the place for clean restrooms” before deciding upon a plan and time for traveling? Do you ever find yourself afflicted with a “case of the bloat” after traveling abroad and sampling different cuisines? Boy oh boy, do I know all about this! I was diagnosed with “IBS” (irritable bowel syndrome) at the age of 21, and while the good docs were correct in their observations, they were NOT right in terms of the “advice” they gave me. Funnily enough, while they gave me a long list of items “to follow” on their diet and lifestyle list exercise didn’t figure high on it. The only doc that did utter a few words about exercise was one who told me to “jog for 45 minutes” daily to “keep my heart rate in the target zone”, and warned me repeatedly against all out burst of intense effort. And though I knew it wouldn’t work – I tried it anyway, and if anything it made the problem even worse. What I’m trying to tell you is this – all the exercise programs in the world won’t work worth a damn unless they target your body from the INSIDE out. The health of your organs, in other words, dictates how the rest of your body functions (and reacts) -and IBS is no exception to this rule. And when you’re doing CORE training (remember, the core is where your VITAL organs reside) – you’re literally targeting the most important organs of your body along with the surrounding muscles. And believe me, one is not possible without the other. You can have the “sexiest” 12 pack on display, but it means squat all without the internal strength underneath. And if your stomach muscles are weak – heck, if your entire stomach is a “burbly” mass of gelatin (sad, but true, but thats what a lot of folks sport in terms of a midsection these days) – then I’ll bet you my bottom dollar your internal organs ain’t functioning near as well as they SHOULD be. Good news is THIS though – if you follow a regimen that specifically targets the core and everything INSIDE – then IBS, and other issues will soon become a thing of the past. No more “burbles” at the most inopportunt moments. No more flabby midsections – in fact, one of the exercises in this course is in huge part responsible for giving me that X taper I have. In fact, I believe I blogged about this before as well. Check out the post referencing a dude slamming me in the gut with his elbow (at full force, mind you) – – and it felt (to him and me both) that his elbow was bouncing off a steel wall. An “X” taper – and I’m not just talking about a chiseled, strong and “whittled” down midsection. I’m talking a midsection where the muscles literally run down deep into your groin from your upper abs giving you a real “X” look – – and FEEL! An abdomen that looks like it’s made of CORRUGATED iron, with each RIDGE of muscle standing out in stark relief under the skin (and no, you don’t need to “tighten” and “primp’n’pose” in front of the mirror to get that look – – you’ll get it when relaxed as well). Obliques that look like they’re made of streaming steel, and FEEL every bit as strong. A strong, armor plated lower back that will never be susceptible to injury – – unlike the heavy weight pounders at the gym who quite literally sometimes end up grabbing their lower backs in agony after yet another unnatural pull (note – the deadlift is one of the worst things you can do for your lower back!). Spinal erectors that look like boa constrictors running up and down your spine. Chiropractors and visits to “realign” your back will be a thing of the PAST. You can wave goodbye to lower back pain forever. No more “IBS”, constipation or other frustrating/embarrassing digestive issues. No more “stomach burbles” after lunch or dinner, and certainly no “unplanned” visits to the toilet! Your “vital” organs will be strong and healthy – and your entire body will function much better as a result. And as if all this wasn’t enough, you’ll also gain strength, flexibility and endurance throughout the entire body – – since these exercises train the entire body as an unit, the way it was always supposed to be done. Last, but not least, having a chiseled and functionally strong core gives you confidence in ways I cannot even begin to tell you about now, my friend. And I should know. I was overweight at a certain stage in my life, and though I was definitely still strong and flexible, for some reason I never had that “x” factor about me – – either when it came to physical exercises – – or simply even gripping someone’s hand in a handshake. Believe me, I wasn’t weak even then – – but having too much lard on the midsection does you more harm than you realize. Your energy levels are out of wack – – your food doesn’t digest correctly – – and at the end of the day, you never really vibrate at the highest levels like you were MEANT to with a weak core. Unfortunately, a weak core is the norm these days. Modern day gyms, fitness trainers and of course the blighted late night TV informercials all pander to the “easier is better” concept that seems to have become popular these days amongst everyone – – and the net result is a world full of physical weaklings with medical ailments and obesity on the rise galore. Good news though is, YOU don’t need to be one of the herd. YOU don’t need to put up with having “irritable bowel syndrome” or “flatulence after a meal” for the rest of your life. YOU don’t have to be the one that “farts without meaning to” in public as those around you make an effort to “hide the fact that they know who it was”. And YOU certainly DO NOT have to be content with living with back pain and other issues that require you to pay weekly visits to the friendly chiro – – and run up not so friendly bills while you’re at it. 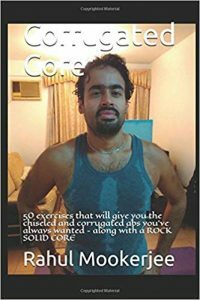 No – – everything you need in order to resolve those issues is right at hand here, my friend – – in “Corrugated Core” – – a course I put together for YOU — the average Joe or Jane looking to whip his or her core into superb condition — and keep it LOOKING and FEELING that way for GOOD! And all I’m asking you to invest to obtain access to this potentially life changing information is a piddly $54.99. A mere pittance to reclaim what is rightfully yours – – and less than a mere pittance compared to the hundreds of dollars you spend on chiro visits, medicines for your intestinal problems, and of course – – the embarrassment caused by these – – which is “priceless”, to say the least. Burp (pardon me – – I couldn’t resist). And certainly nothing compared to the frustration of doing crunches and other worthless “easy” exercises that promise you the moon in terms of the moon, but deliver very little, if at all. In closing — let the bunnies do their thing. YOU do YOURS — the right THING! Grab Corrugated Core right NOW, and start building the midsection of your dreams TODAY. P.S. – And no, it’s not just “pushups and pull-ups” that I will talk about in this course. Those are but the basics in terms of a corrugated core. What I’ve got to tell you goes WAY, WAY beyond any of this. WAY beyond what your average gym trainee would even DREAM of — and certainly way beyond the capacities of most, if not all, modern day “body” builders (and I use quotes there for a reason). So don’t delay any longer, my friend. Get yer mitts on Corrugated Core right now, and get cracking!